Álvaro Enrique Arzú Escobar, the Speaker of the Republic of Guatemala House of Representatives, paid a visit to the Taipei City Police Department on September 4th. He received a warm welcome from Commissioner Chen, Jia-Chang, who was accompanied by the Crime Prevention Division Chief and the Foreign affairs Division Chief. 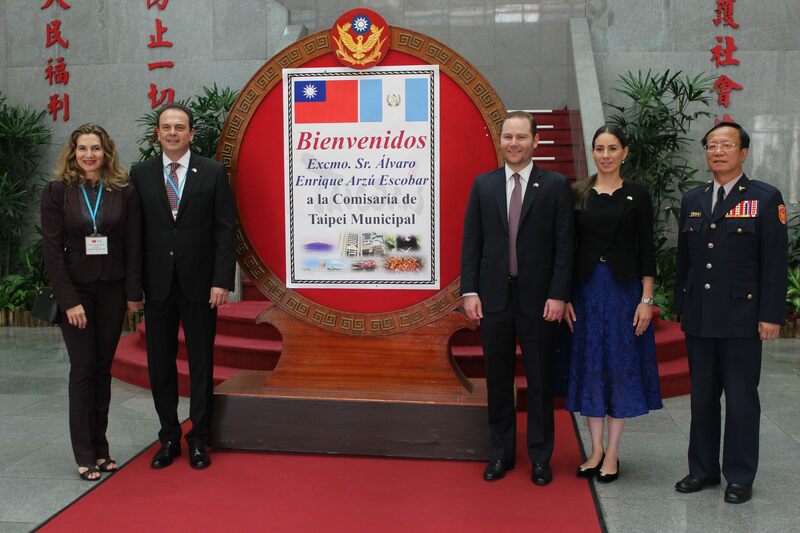 Speaker Arzú Escobar arrived in Taiwan upon invitation for a diplomatic trip from September 2nd through September 6th, 2018. During the meeting, the Police Department demonstrated the surveillance system and shared with the guests relevant experience associated with law enforcement. The experience-sharing is a meaningful one because it might serve as a reference for the government of the Republic of Guatemala. Future exchange of thoughts and experience between both parties will continue. During the discussion, Commissioner Chen stressed the importance of upgrading the facility used by the police – both from the software and hardware aspects, so that more crimes can be dealt with successfully. The agency also expressed a strong interest in conducting further collaborations with the Republic of Guatemala to expedite the investigation process of international crimes, and anticipated return visits from Speaker Arzú Escobar. At the end of this meeting, Commissioner Chen joined Speaker Arzú Escobar in singing the popular Spanish song “Besane Mucho”.